Shriners International is a fraternal organization with 195 temples (chapters) in the U.S., Canada and around the world. More than half of the individual temples host cruel circuses as fundraisers. The 2013 Imperial Session of Shriners International will be held June 30-July 4 in Indianapolis. At the 2012 meeting, it was reported that Shriners International had lost over 15,000 members during the past year (out of a total membership of 310,000). Due to dwindling membership and rising costs, some Shrine temples have been forced to sell their building. Fort Myer’s Araba Shrine announced in May that it would sell its 30,000-square-foot building. The Amara Shrine (Palm Beach Gardens) is also selling an affiliated Shrine Club building in Boca Raton. Certainly, circuses aren’t the only problem faced by Shriners International, but getting rid of circuses would be a good step toward improving its public image and turning around a struggling organization. Shriners International is headquartered in Tampa, Florida. There is a nondescript building at 7780 Northwest 53rd Street in Doral, not far from the Miami International Airport, that over the past 25 years has housed thousands of monkeys destined to suffer and die in research and testing laboratories. There are no signs to identify the business. The only hints as to what went on inside its grey walls are security cameras, empty cages stored alongside the building, and a foul smell. When monkeys are imported to the United States, federal regulations require that they be isolated for at least 31 days to screen for tuberculosis and other infectious diseases. Beginning in the mid-80s, the building in Doral was used to quarantine monkeys imported by animal dealer Matt Block and his company Worldwide Primates. At any one time, hundreds of monkeys from China, Mauritius, Indonesia, St. Kitts & Nevis and other countries were confined in small cages inside the building. Today, the protest group South Florida Smash HLS announced that Primate Products has closed its monkey quarantine facility in Doral. For the first time in more than 25 years, the building is empty. 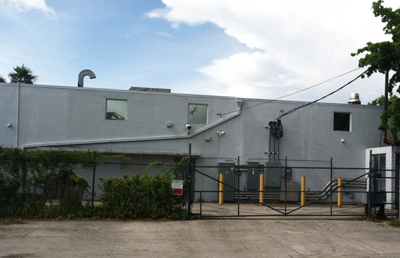 ARFF hopes that the closure of the quarantine facility is a sign that South Florida is becoming inhospitable for companies involved in the cruel animal research industry. Colombia’s President is expected to sign the law, which gives circuses two years to comply with the new legislation. Colombia will become the fourth country in Latin America to ban wild animals in circuses, joining Bolivia, Paraguay and Peru. There is a large Colombian American community in Florida. ARFF is hopeful that Colombia’s decision will be heard by political leaders in Florida.